You must make reservations at least 5 minutes in advance of the time at Riel Restaurant. 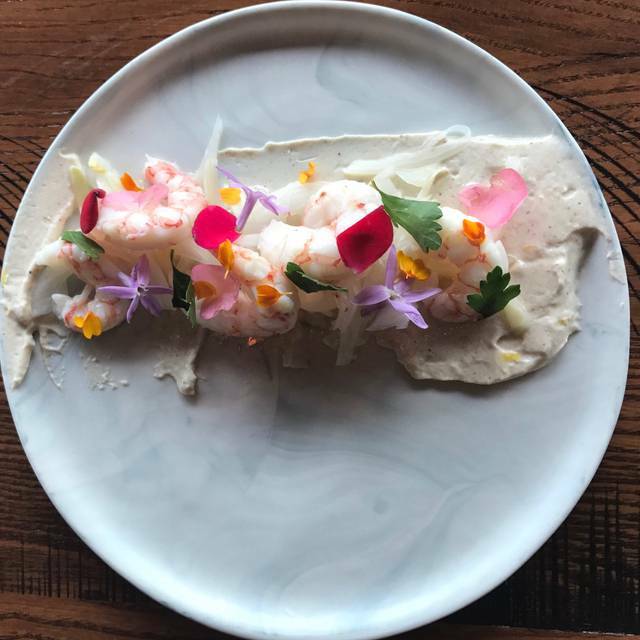 Ryan and his team are available to bring Riel's Globally Inspired Gulf Coast Cuisine directly to you for intimate gatherings. For more information, please contact us at info@rielhouston.com. Riel Restaurant is available for complete restaurant buyouts for dinner. We are also available to host private luncheons upon request. Ryan and his team will customize a menu to cater to your needs. For more information, please contact vanessa@rielhouston.com. If you do not see your desired reservation time. Please give us a call at 832-831-9109 and our host staff will be happy assist you. 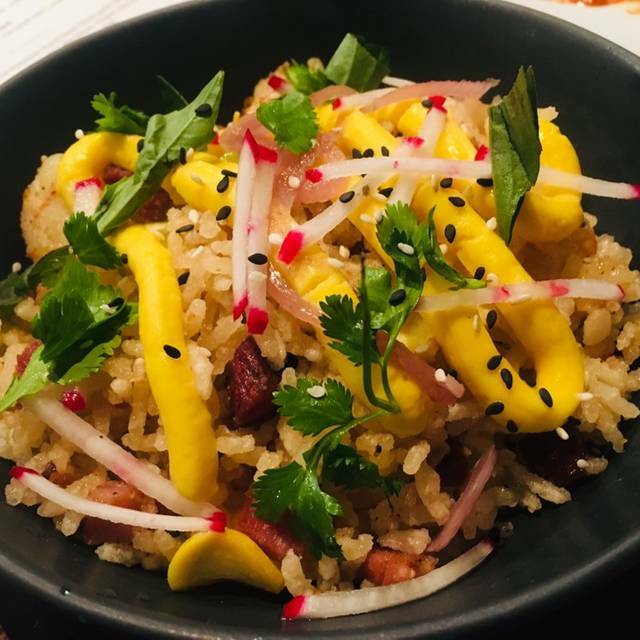 Riel is a modern American restaurant in Houston, Texas led by Executive Chef, co-owner and Manitoba-native Ryan Lachaine. 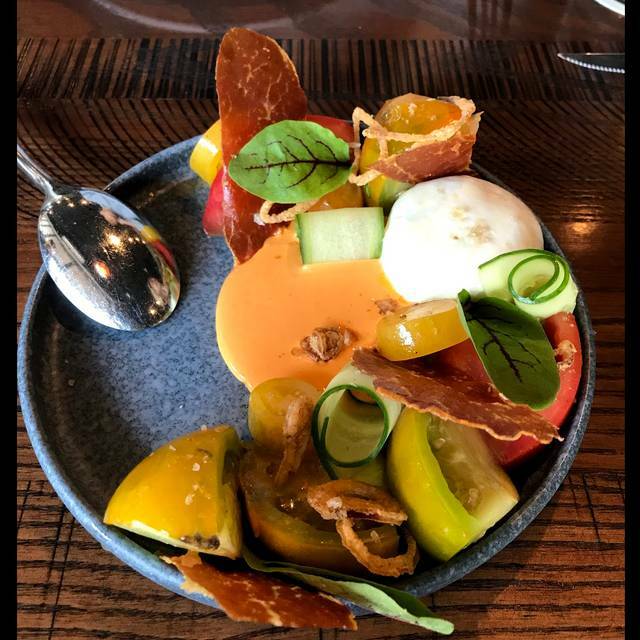 Dedicated to sourcing the highest quality seasonal ingredients, Riel is about highlighting local flavors, utilizing regionally-sourced products and allowing room for interpretation. 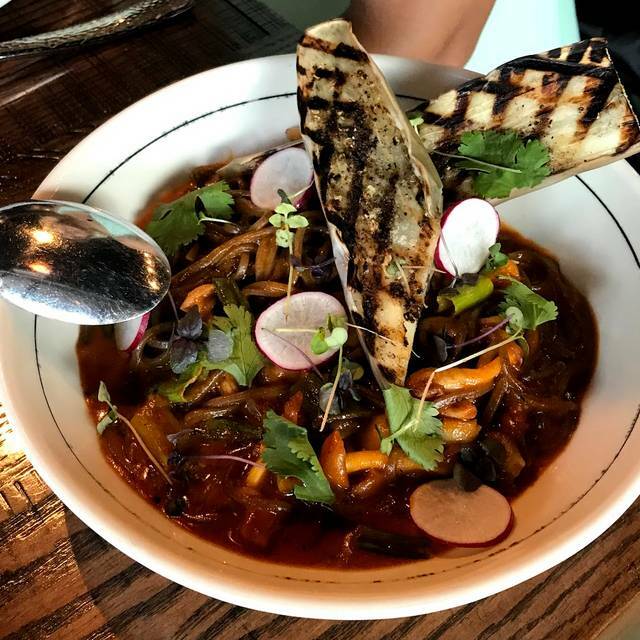 Inspiration for the menu is pulled from the culinary landscape of Texas’ gulf coast, Lachaine's Ukrainian heritage and French-Canadian fare. Beverage program showcases small production wines, craft beer, seasonally inspired cocktails and a full bar. was great, service could have be better, i saw how the waitress explained very well the dishes to other tables, not to us. We canceled a dish to compliment the rib eye, the dish came after we finished 40oz of meat. That's it. In overall, excellent experience. Mostly great food. Empanadas not very warm. Will definitely be back. Riel was absolutely perfect for my boyfriends birthday! They exceeded all expectations that night. 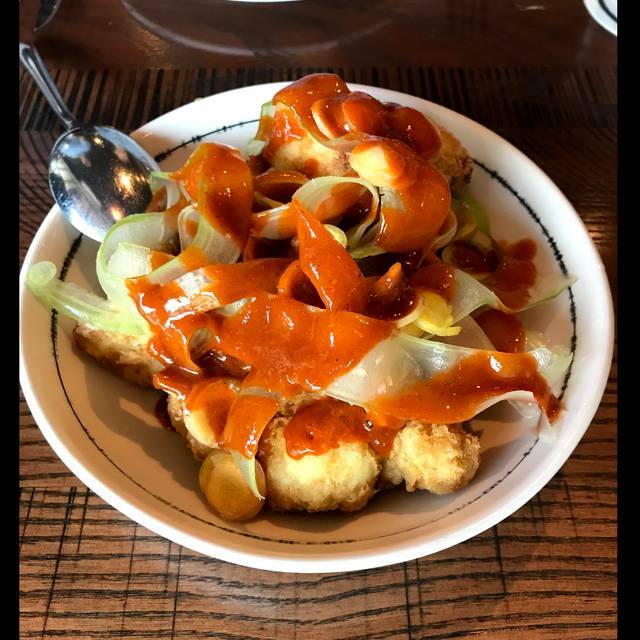 We love trying new places with creative and innovative dishes and cocktails, and this is now on of our favorites. They treated him so special with complimentary champagne, chefs special digestive liqueur shot, and the best toffee cake I've ever tasted! He was so amazed I'm so glad I chose riel for his special day. A good experience, but sitting next to a table of 8 young women whose noise made it very difficult to talk. In the future I will be more careful when asking for a quiet table. We are a fan! Came here for our anniversary and were not disappointed. From the cocktails to the appetizers which included the Oysters, Yellow Fin Tuna Crudo, Mushroom Empanadas and Cauliflower Tempura. I say the Tempura was our favorite. 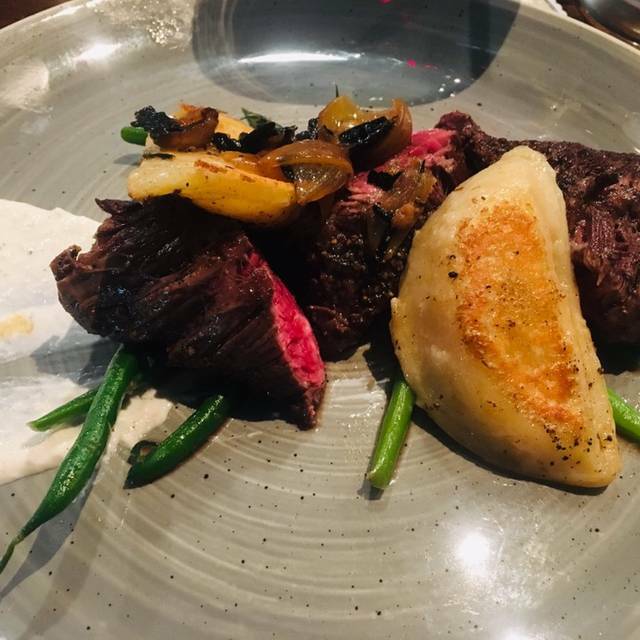 We capped off with a delicious Hanger Steak with Potato Pierogies (cooked to perfection) and Crispy Skin Snapper (flaky and fresh). 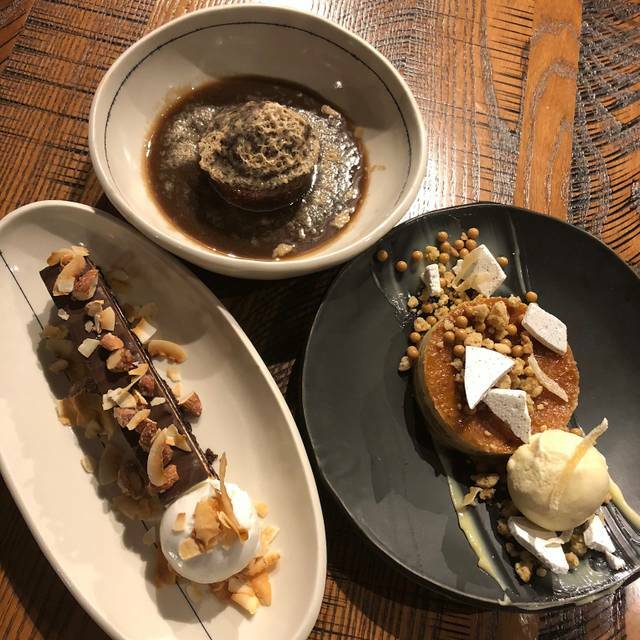 We wish we had more room for dessert, but we have already made plans for our next dining experience. The staff was attentive and came to check on use often. It's a cute place nestled in the Montrose area. Valet probably is the way to go, but you can also park on the street if you like to take a stroll. Table of four, server was Stacy. Had a great evening - well-prepared drinks, good food, and knowledgeable recommendations by Stacy. The service here was impeccable! The wait staff was friendly, food came out as soon as it was read. Cocktails were amazing as well as the food. We will def be back for more! Great food - Great service (again)! We had a very nice dinner and enjoyed the food. The food, all of it (recommendations even) was so good. Each course just outdid itself. Top-notch food, service and ambience - as always. Thanks to Ryan, Nick and Mechelle for a great experience. Best oysters - very clean and fresh. Stacy made great recommendations especially the order to experience the dishes. We had a wonderful time from start to finish. Our waitress was very pleasant, helpful & spot on. The place is beautiful & has a lovely ambience. The food was excellent & totally delicious. The borscht soup was outstanding as as was cauliflower starter with kimchi. We all had hanger steak which was super & then shared the sticky toffee pudding for dessert. Overall a great dining experience. Great food and wonderful service! If I lived in Houston I would come back again and again! This is one of my favorite places in Houston. I brought my friend to celebrate her birthday and we chose to sit at the counter. 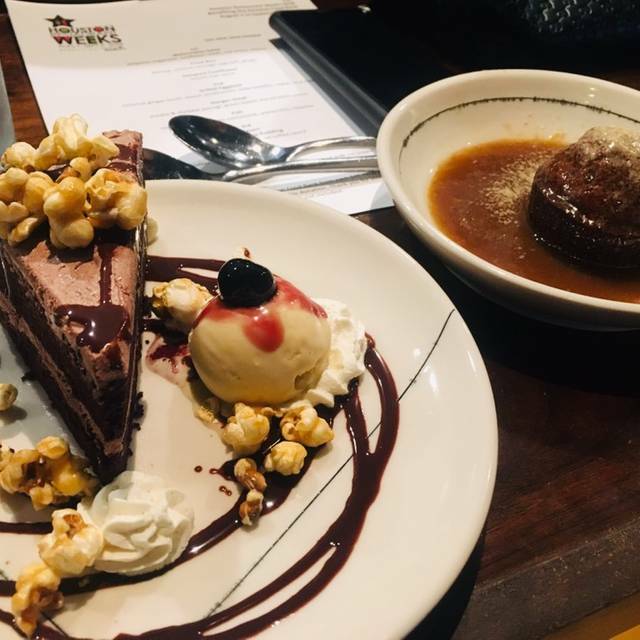 We tasted several dishes including the bone marrow, pierogis, epinadas, cauliflower and several desserts. All the dishes were delicious and the flavors were rich and unique. The service was outstanding - Stacy takes great care of you! And as it’s a more intimate size place, we were even able to meet with the head chef. I can’t wait to go back. The bar staff was outstanding. The food was delicious! The waitress was bad enough to make us want to not come back. She was rude and all of us in our party agreed that we had never had an experience that bad with waitstaff. It was unfortunate because everything we ate was delicious. I enjoyed my dinner at Riel. Beautiful interior, nice drink and wine list and good food. I like that the food is seasonal and always changing. I sat at the chef’s counter but wasn’t really able to see the action in the kitchen which was a bummer. The gentleman who waited on me was very nice and knowledgeable. I’ll definitely return to try to other dishes. Great food, great atmosphere, and even better service with Stacy!!! Food was killer! Waitress (Heather) was super awesome. This place is fantastic - I’ll definitely be back! This was our first time @ Riel and first meal in Houston! We ordered tons of tapas! Wish I could of ordered all of them! Ribeye steak was delicious! They all went out of their way to make our evening so special. We definitely succeeded in surprising my friend for her birthday. They all genuinely cared. Service was perfect, and I had been a part of the service industry for 8 years, so I'm picky. Food was excellent. Bar was equipped with awesome choices. Dining area is not super private, but I was impressed that it wasn't too loud. First time having dinner here and we loved everything about it! The restaurant is small and not too loud. Borscht was delicious and so were the mushroom empanadas - so full of flavor! I had the flank steak (medium rare) and my fiance has the crispy snapper, both dishes just kind of melt in your mouth. Will definitely recommend coming back here for another date night. Everything was good except for the serving size of the snapper. I have never seen such a small piece of fish for a $28 entrée. Absolutely fantastic! This was one of the best meals I have ever had in my life. The only downside is we were sat at the bar, which was a little snug, but it was the only spot they had available for a reservation. We went on Valentine’s Day so we were shown to our table and received complimentary glasses of champagne. I ordered the Hanger steak medium, which was one of the best steaks I have ever had in my life by far. It was moist, but had the perfect outer crust to it. It melded beautifully with the horseradish cream underneath it and with the peroxide and green beans! It was amazing. My boyfriend ended up getting the snapper consume, which while he said was good, was a little dry for him. We ended the dinner with the bees knees dessert and we also given artesian Jell-O shots at the end of the dinner. One was a love position Jell-O shot that was strong, but a little too sweet and one was an old fashioned Jell-O shot, that was out of this world good. It really tasted like an old fashion! Very very happy with our experience and will most definitely be returning! I pray to god they never take that steak off of the menu because it really is a treasure! Food and service were wonderful. I would highly recommend. 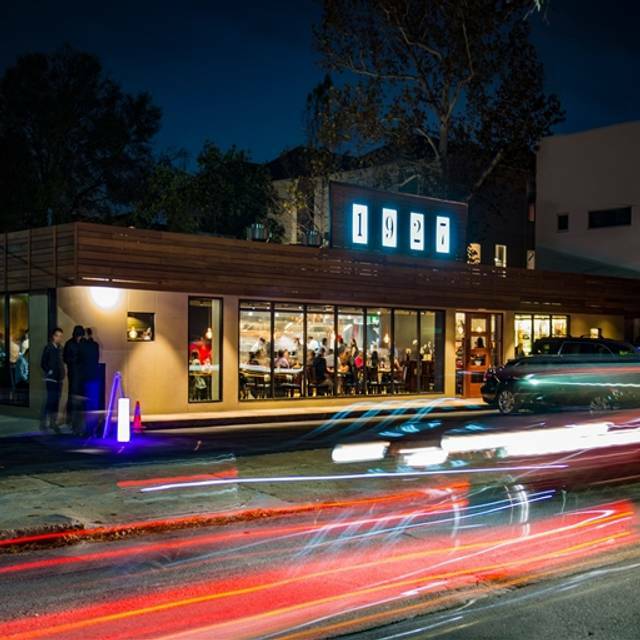 Our experience was a case study in how to manage well during a difficult dining experience. We ordered a bottle of wine, and four small plates. Just as the wine arrived, smoke poured out of a heat vent. It smelled like an electrical fire. We took our glasses of wine outside to escape the smoke in 40 degree weather, not optimal. We came back in as the first course was served, but smoke was still there so we decided to settle the bill and leave. (The food was delicious.) The manager came over and apologized. Our bill came but with no reduction in charges for the wine or the food. As we left I told the person at the door that we wouldn’t be back because there should’ve been some recognition in the billing that this wasn’t a great experience. After all there’s lots of places to choose from here in Houston. We get home, open some cheese and pour the rest of the wine when I get a call from the restaurant. It was the manager, Nicholas, who called and told us that he had voided the bill. He had been on the roof making sure there was not a problem with a fire, and hence not able to communicate with the server. So we will be back, and kudos to the excellent customer service and attention from the staff. Enjoyed happy hour at this lovely place. Service was great. Food choices were interesting. The borscht was fabulous! When we first got there there was a happy hour going on that was quite loud. But after that calmed the noise level dropped and the ambiance was great. The food was incredible. Smaller portions but delicious. The service was top of the line as well. They nailed everything- service, food, ambiance. This is truly a top notch restaurant. The service was excellent. The food good but not great except the borscht which was excellent. The noise level was high. The price was about what one would expect for the area and level restaurant. Travis was an amazing waiter who provided "Concierge" level service. The food was delicious and ambience perfect for a girls night out. Great food, super accommodating staff. Everything was top notch. Nice enough food with good service. Expensive for what you get though.